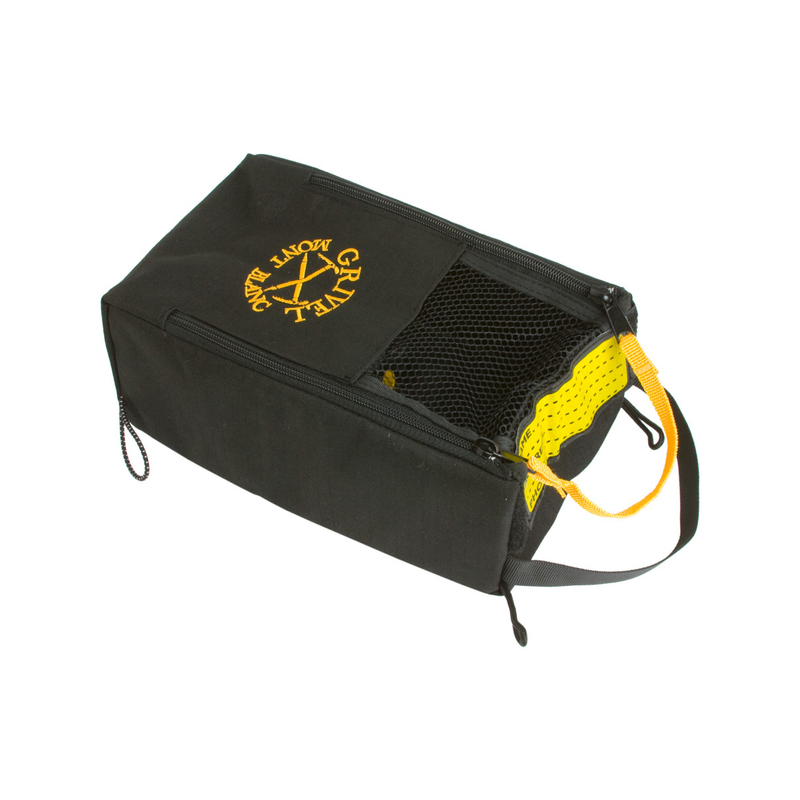 The Grivel Gear Safe is designed for carrying your crampons and ice screws on your backpack. Two large zipped openings make access easy. The netting helps ventilation and consequent drying out.